In 2013, a movie from Guillermo Del Toro was released into theatres and went rather unnoticed by the general public. 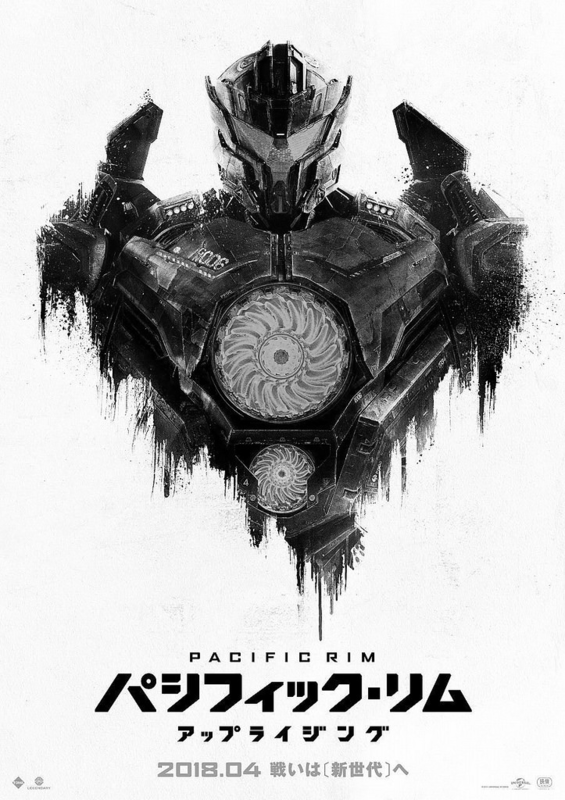 This movie was called Pacific Rim and, while it was not a boxoffice disaster, the film did not perform as well as the studio had hoped for it. Since its release, however, the film has gained cult status and has developed a massive fan base. I myself am a part of it. The film is rather flawed and does not contain much of a story or character development… But who cares? Pacific Rim is pure entertainment, and that’s why I love it so much. The film pays homage to Japanese monster movies, which I am also a massive fan of, and the film really feels like it was made by somebody who equally shares the same passion for the genre. Due to the film under-performing, chances of a sequel were looking more and more slim. However, the fans screamed out and their voice was heard. Thus the sequel Pacific Rim: Uprising was announced; however, it would be missing some key components from the first film. Many of the cast members from the first film were unable to return, and Guillermo Del Toro would only be a producer for the film. With all of these factors taken into account, how does the finished product fare up? In the end, I can say I was entertained by Pacific Rim: Uprising; however, throughout the whole film, I felt myself feel a little let down by it. The performances were all solid across the board; John Boyega is as likeable as ever in the lead role; and everyone else did a good job. The film was well directed and everything was lit well, but something just felt… off… about it. The film had the body of a Pacific Rim movie, yet I feel it lacked the soul. It is a real shame, because everything about the movie is fine, and really succeeds at what it is trying to do. The robot-on-monster fights still pack a punch. I feel the film tries too hard sometimes, and features some really awkward and forced attempts at humor, which make me wonder what was going on in the minds of the filmmakers when they were inserting them into the film. These don’t really take away too much from the movie; however, I did find them still to be rather odd and out of place. I guess the best way to describe the film is that it was less creator driven and more studio driven, in hopes of turning Pacific Rim into a franchise. I feel the first film was lightning in a bottle and any further attempt won’t garner the same results. All in all, the movie is still a fun entertaining ride, yet it simply does not have the same impact on me that the first movie still has on me to this day. If you are looking for a fun way to kill two hours of your own spare time, there is still enjoyment to be had.